Bench Cafe?! 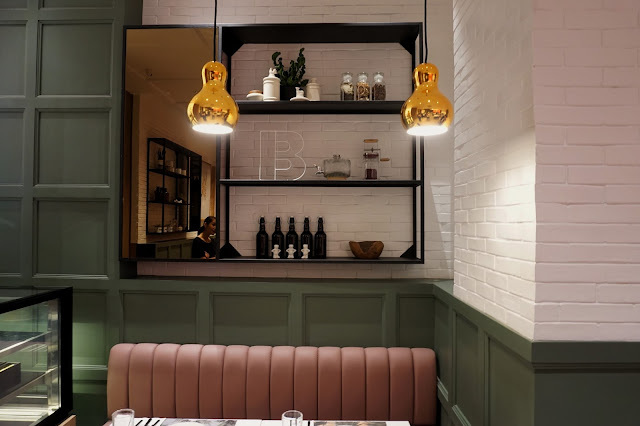 Who would have thought that the retail giant Bench would open its own restaurant? 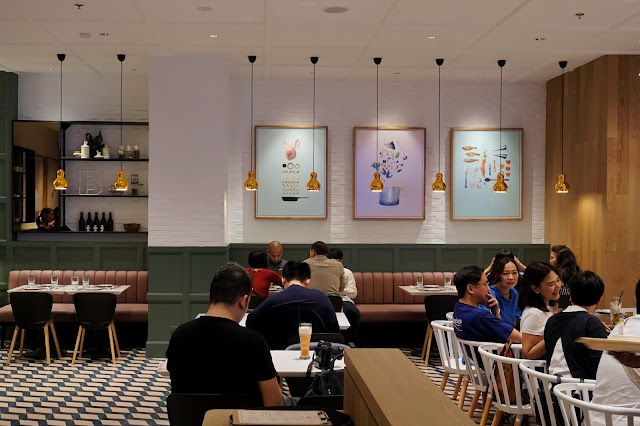 The well-loved local brand that has an impressive global presence has finally got inside the food scene with its first ever restaurant in its flagship store in Bonifacio Global City. Located at the busy Bonifacio High Street, it would be very easy to spot the Bench flagship store. Just look for a building with red lighted signage. 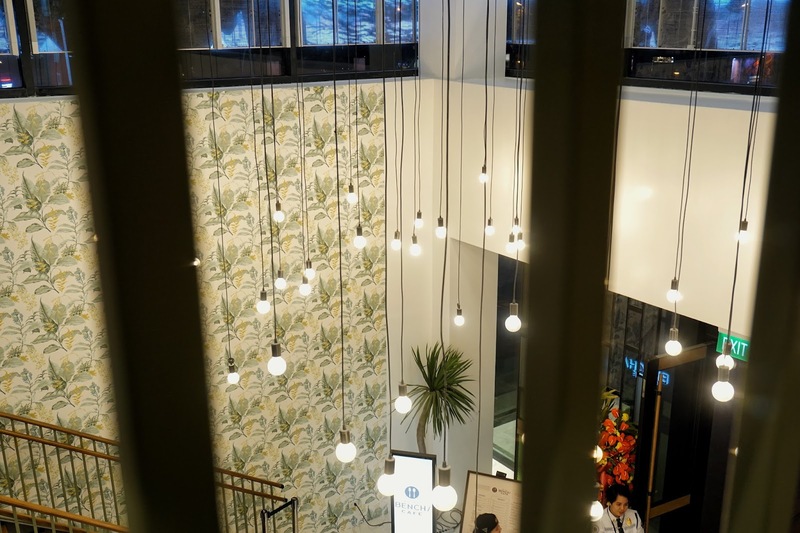 The restaurant is at the second floor of the massive Bench store and it could be a bit of a climb for seniors. But I'm pretty sure that they have a lift or escalator to the second floor and another entrance to the cafe. Since we were there for a sneak preview, there was a set menu prepared for us which includes dishes from starters, mains and desserts. We started off with Pinoy Caprese (PHP350), Sisig Lettuce Cup (PHP220) and Tinapa Cones (PHP250). The Pinoy Caprese is a combination of compressed watermelon topped with kesong puti and basil with cane vinegar gastrique. 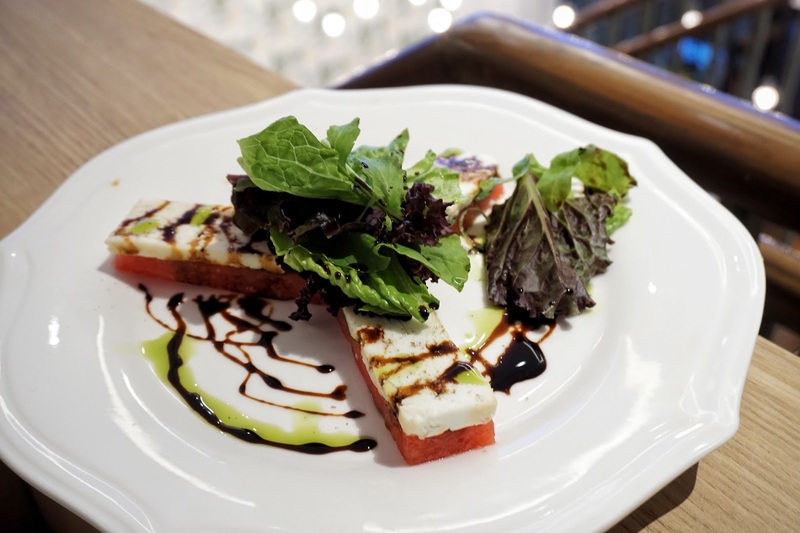 It was a light dish with a clean taste perfect to slowly prepare one's taste buds to a gastronomic experience with Bench Cafe. Guests who prefer stronger and bolder flavors would enjoy Sisig Lettuce Cup. 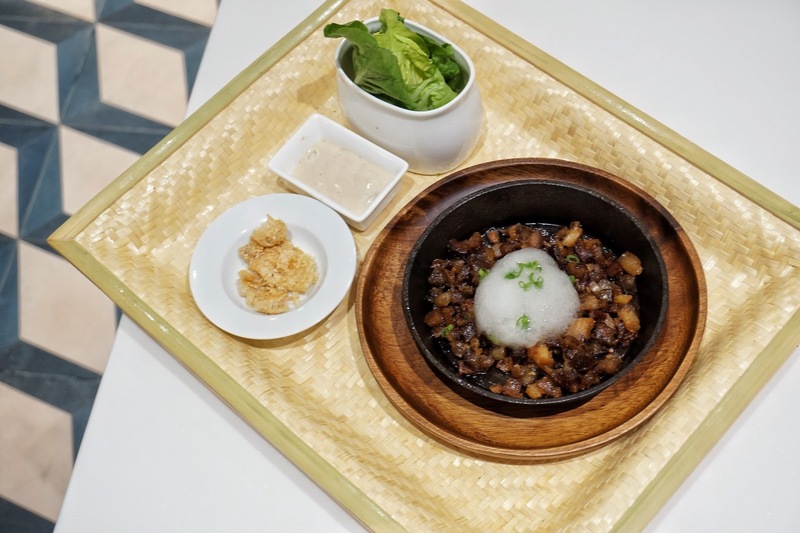 Though it may look like your usual sizzling sisig, Chef Carlo Miguel injected his ingenuity by adding calamansi foam giving the dish a fancy touch. But it's not all aesthetics as it actually gave that delectable tangy kick that I love. But aside from the foam, this dish is served with "utak aioli" and by utak, they made use of pig's brain to come up with this creamy sauce. Yummy? Oh yes. 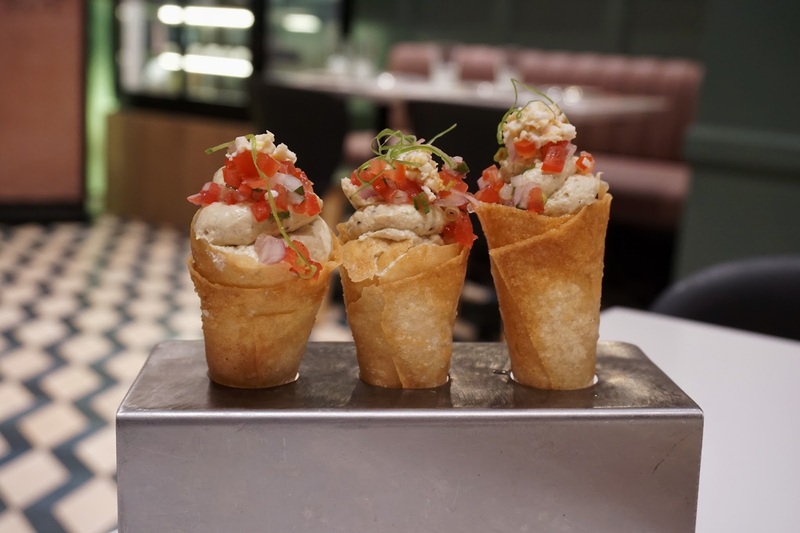 Another starter perfect for foodies who like bold flavors is Tinapa Cones. This fun dish is made with tinapa mousse and salsa stuffed inside the crispy lumpia cone. It's like enjoying a savory ice cream but served warm. Though it tends to be a bit too salty for my liking, smoked fish lovers would go gaga over this one. For mains, I decided to go with Bench/To Salted Egg Fried Chicken with Hipon sa Talangka, Atsara (PHP399) and upgraded the Bench/To rice to Dilis Rice (+PHP20) and additional Tinola Soup (+PHP119). R on the other hand went with Tapa Silog (PHP245). And since we were feeling a bit cold that night, we went with Pandan Latik (PHP155) and Mindanao Hot Choco Latte (PHP185). I was expecting my salted egg fried chicken to be crispier but it was just lightly fried. It was generously covered in thick salted egg sauce though so there was no room for me to complain at all. I loved the grainy texture of the sauce and its blend of salty yet sweet taste. 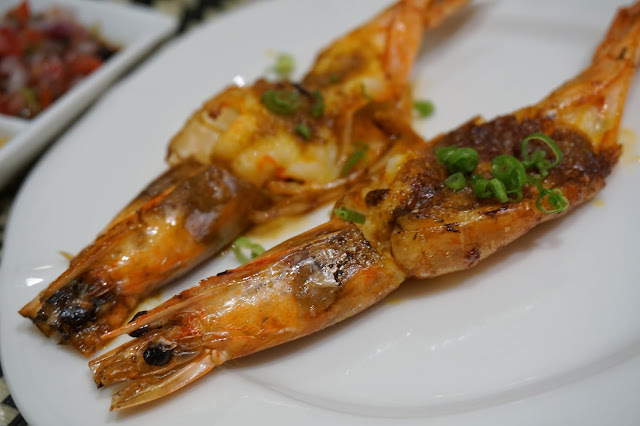 The Hipon sa Talangka was good too but not as flavorful as the salted egg fried chicken. 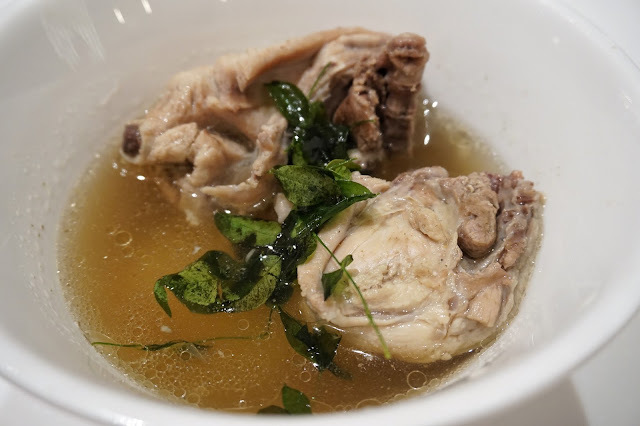 I loved the tinola soup and it reminded me of how my grandmother used to prepare hers. It was simple, no frills and hits the spot. 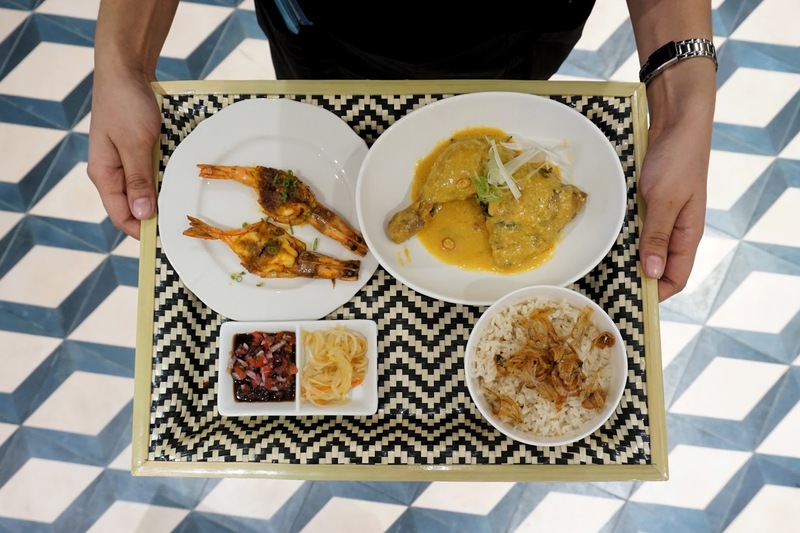 The chicken was perfectly cooked and the ginger did not overpower the soup. 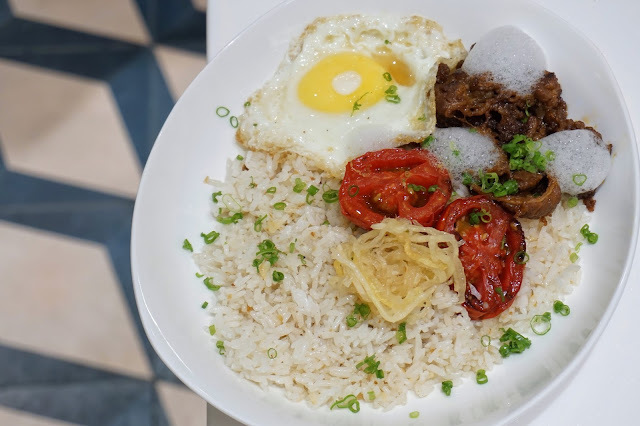 R's Tapa Silog, just like tinola, was your classic Pinoy tapa done right. The meat was succulent and each bite gives off this beautiful harmony of sweet, salty and tangy flavors. It was wonderfully complemented by garlic rice, fried egg and tomato. R also made the right choice getting hot chocolate as it completed his breakfast meal. It was surprisingly not that sweet which I liked. 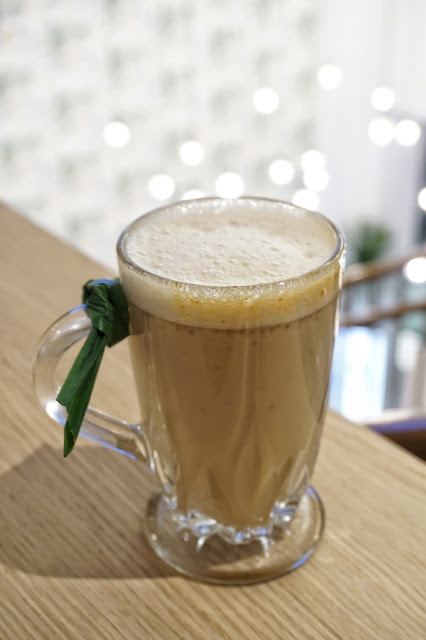 My Pandan Latik is a great option for those who are fond of sweet drinks. 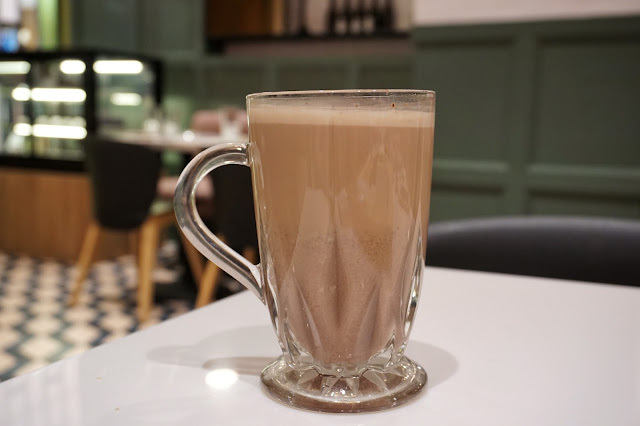 This one could pass as dessert too as the latik flavor dominates the drink. And yes, it is served hot. The highlight of our visit were the desserts which I kept seeing from other foodies' posts. 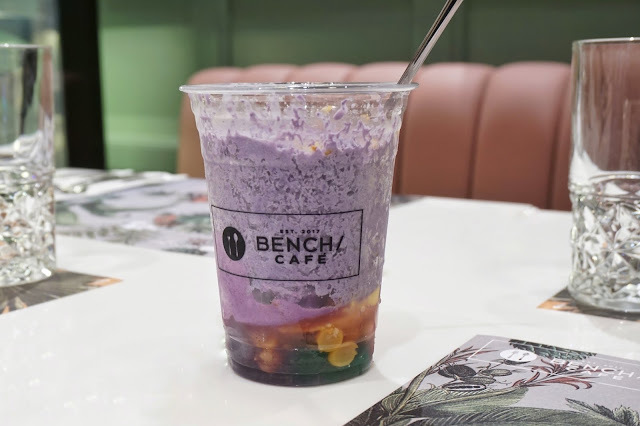 Bench Cafe offers three kinds of halo-halo-- Ube Halo-Halo (PHP250), White Halo-Halo (PHP250) and Classic Halo-Halo (PHP250). There's also Flan B (PHP185), the all-time favorite baked caramelized custard topped with macapuno. 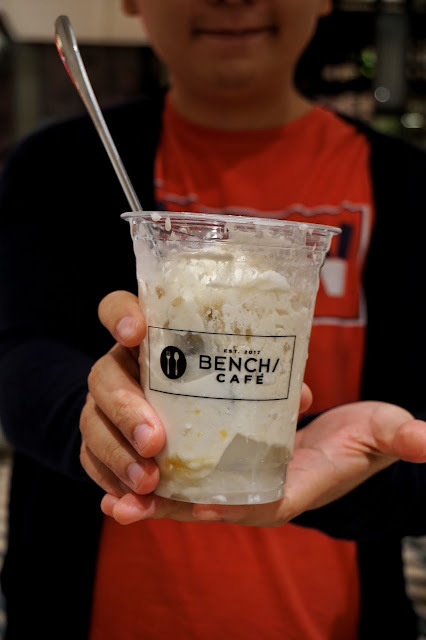 Fondly called as Pinoy bingsu, Bench Cafe's halo-halo uses finely shaved flavored ice as base. Ube Halo-Halo uses ube bingu while White Halo-Halo has coconut. Both Ube and White Halo-Halo have garbanzos, caramelized banana, leche flan, Nata de Coco and coconut ice cream. But if I were to choose between the two, I'd go with Ube Halo-Halo. Flan B was awesome too. 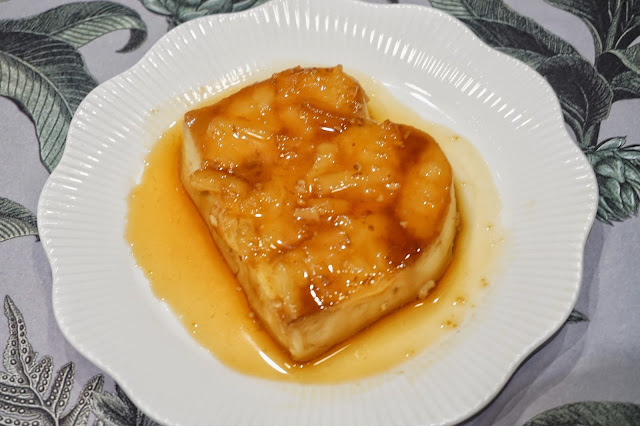 The flan had the right consistency and level of sweetness. The macapuno bits added nice texture to it making it addicting. Overall, it was a great meal and I couldn't wait to go back for more! I have to try its other dishes and have more of its desserts! Note: Prices, according to management, are still subject to change. I based all the prices from the menu board I saw on the ground floor of the store. Bench Cafe is located at 2nd Floor, Bench Flagship Store, 9th Avenue and Lane O, Bonifacio High Street, Fort Bonifacio, Taguig City.